When the Castle first opened for business, the technology in the community was limited. 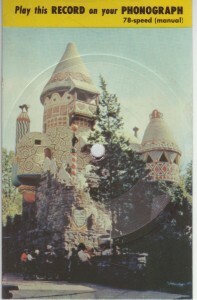 During the Castle’s time operating as an family amusement part, new technologies were not only invented, but some that had been invented earlier were finding their way into homes and businesses. Today, very few people use record players anymore. Digital music is the more common way of listening to favorite songs. The Record Player was invented about 70 miles from Hamburg, at Menlo Park New Jersey, by Thomas Edison in 1877. Edison’s mark was already on the site, as he had installed the hydro-electric power wheel at the Wheatsworth Mill at the site of the Gingerbread Castle. The phonograph later become something families would own, so that they could play vinyl records. 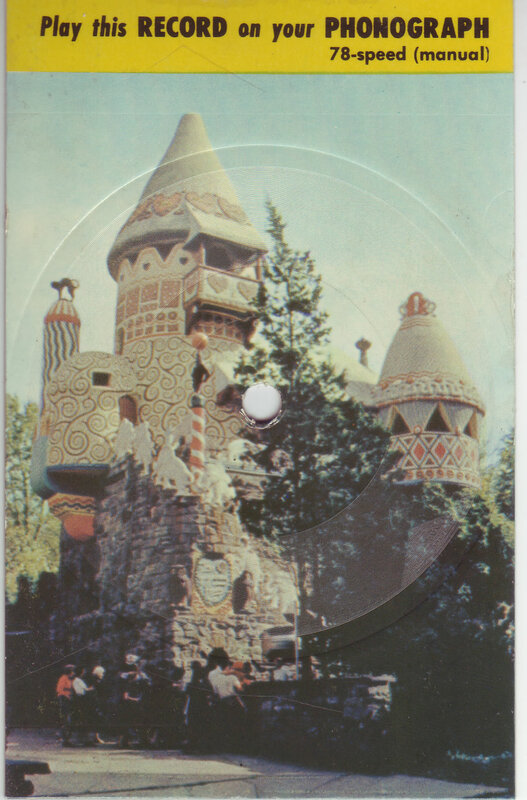 In the 1970′s, novelty cardboard records were created to help market breakfast cereals and were imbedded in Postcards, and the Gingerbread Castle had one. Images of the postcard, from the collection of Daniel Barr, can be found here at this digital library.